Lisle Jory was a quiet, reserved and gentle man who rarely asserted himself. His integrity, patience, kindness and understanding endeared him to all. Dearly beloved husband of Sheila, he leaves his children, Craig, Scott and Shauna, six grandchildren and four great-grandchildren. He passed away peacefully in White Rock on March 22, 2012. 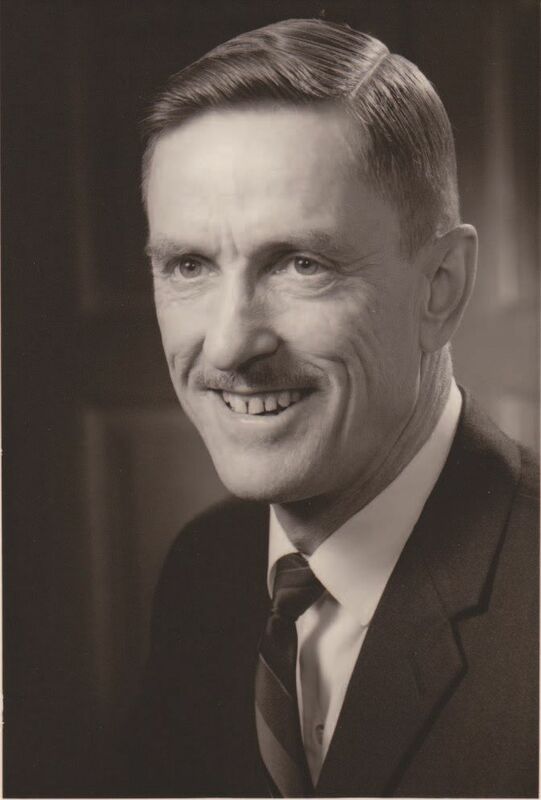 Lisle was born and raised in Roblin, MB, on April 22, 1924, and received his early education there. He was the youngest child of Leonard and Gertrude Jory. His ancestors arrived in Pictou County, NS, in the 1770s. After WWII military service, Lisle obtained his BASc in geological engineering from UBC. In 1964, Lisle earned his PhD in economic geology and geochemistry at California Institute of Technology. His doctoral thesis, Mineralogical and Isotopic Relations in the Port Radium Pitchblende Deposit, Great Bear Lake, Canada, is thorough, informative and a testimony to Lisle’s commitment to detail and accuracy. He began his professional career as a geologist with Eldorado Nuclear Ltd., at Port Radium, Great Bear Lake, NWT, before transferring to Eldorado’s uranium mines near Uranium City, SK. During his employment with Eldorado he performed and directed underground geological activities and managed a major mineral exploration program. Following 10 years in mining he accepted a position as senior engineering geologist at the W.A.C. Bennett dam on the Peace River in BC. In 1966, he joined Dolmage, Campbell & Associates Ltd., consulting geological and mining engineers in Vancouver. He consulted on major power projects for the World Bank and the Asian Development Bank as well as mining projects in Europe, and North and South America. Lisle was active in retirement; gardening, lawn bowling and genealogical research were his principal pursuits. He maintained an active interest in several professional and engineering organizations, in many of which he was a fellow, member or life member. Young geologists or engineers who were fortunate to work with, or for, Lisle experienced his unique capability to educate; he was always patient, never domineering. Lisle possessed a delightful, unassuming sense of humour that, along with his other great attributes, will be sorely missed. Lisle was a class mate, a one-time room mate and a lifelong friend. Although we could meet only intermittantly since we lived and worked in different regions the bond of friendship was such that each meeting was as if no time had intervened. Lisle and Shiela were solid friends and always a great pleasure to see. Lisle will be sorely missed, Shiela has my deepest sympathy.